Written by Ali Usman Qasmi and Pallavi Raghavan. The French historian Marc Bloch – sitting in a jail cell before being hauled away for execution by the Nazis – remarked that the real value of history was its way of showing how everything was connected. For Bloch, studying the past was a sure-shot way of exposing the falsity of political divisions in the present. The closer we looked at our past, the more we have to confront questions about how the things that constituted one’s identity come from landscapes that were quite different from what one was used to identifying with in the present. This was why, in order to have a truly secure and most rounded understanding of who one is, the rigorous study of history is so important. We discovered how this was true while teaching a remarkable class in history at OP Jindal Global University and the Lahore University of Management Sciences (LUMS). Professor Ali Usman Qasmi got in touch with me in the winter of last year to investigate ways in which we could teach students at my university, OP Jindal Global University, and his, via a live discussion between our students. The point of this exercise would be to examine how, and why, the same events in South Asia’s past are perceived differently today, in India and Pakistan. Both of us sensed the possibilities in this course immediately: so much, after all, of India’s and Pakistan’s sense of hostility and suspicion of one another arises out of a sense of loyalty to the historical heroes of both countries. A classroom that would jointly involve Indian and Pakistani undergraduate students, of roughly the same age and background, would yield a huge amount of information about exactly how the ‘other’ is perceived. We decided to jointly conduct our classes via Skype, and encouraged our students to participate collaboratively in a variety of discussions about South Asian history. Their assignments were meant to take on board the ways in which an event is differently understood across the border, and then, having done so, to respond in ways that either critiqued, or perhaps further strengthened and improved, the assumptions that they had started out with. Our classes were not free from nationalistic blinkers. What we were struck by, however, was how vigorously these could be subjected to questioning. This was either in terms of factual accuracy, or by presenting a more holistic picture, or, quite simply, by recognising there were inadequate sources of information about where we were coming from. Students in India, for example, were quite unaware of the historical figure of Muhammad bin Qasim, a functionary of the Ummayyad Empire who had been sent to the distant South Asian frontiers in 712 AD, ostensibly on the call of a Muslim woman taken captive by the local Hindu raja. Widely credited in Pakistan for having introduced Islam to the subcontinent – and therefore, in a sense, with having founded the dream of Pakistan – he was, in India, a virtual stranger. Similarly, to most students in Pakistan, Rabindranath Tagore, Bal Gangadhar Tilak and (though to a lesser extent) B.R. Ambedkar were mostly unknown. In many ways, this was a serious shortcoming in the awareness of both sets of students: these figures were, after all informed by a politics that was firmly cross-Asian in nature; their ideas and contributions to nationalistic frameworks that are believed in so deeply today were inextricably linked with grappling with a wider context than the present-day maps of India and Pakistan. Appreciating these legacies more, while further highlighting how the legitimacy of the imagined community of the nation came into being, shows the inadequacy of such claims in some cases and the outright illegitimacy in others. What also became apparent was the sheer dearth of information about the history of the wider South Asian region in school history textbooks in both countries. 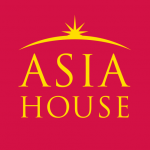 Quite apart from the bigger problems that they pose – and they do, including the fostering of an unthinking jingoism on either side, unsubstantiated by any credible claims to a convincing and historiographically conclusive argument – they also simply fail to inform students about a wider set of connections that inform South Asia’s past, and therefore its present. In many ways, appreciating these connections is vital if we are to make any arguments about a more globalised present. But what struck us even more was how this course enabled a discussion about why and how ideas about ‘origin’ were not necessarily the best way of defining the claims to Indian or Pakistani nationhood: both states needed to be judged by criteria other than those that were about a particularly close adherence to an imaginary beginning point. A closer inspection of many events in South Asia’s history – involving the stories of a variety of rulers, traders, preachers, devotees, warriors and politicians, from the inhabitants of the Indus Valley civilisation, Ashoka, Mahmud of Ghazni, the Mughals, right down to the politicians of the 20th century like Jinnah, Gandhi and Ambedkar – also show how they were shaped by a far wider imagination of the world, rather than those restricted within India or Pakistan today. Many of these historical figures, and their afterlives, continue to be culturally salient to India and Pakistan today; indeed, some have been adopted as central to the nationalistic pantheon on either side. But they were all shaped by events that straddled a geography that was more expansive than the present-day shapes of India and Pakistan. The extended kingdom of the undivided Punjab of Ranjit Singh, for instance, or, for that matter, the coastal outlook of Muhammad bin Qasim, who thought in terms of a set of calculations that further increased his control over land – extending from Surat to Debal, near present day Thatta – were equally viable ways of thinking about territory. More than that, however, they also had an impact on a sense of regional identities that are deeply held today, in many cases even more tightly than those of nation. Being Punjabi, for instance, or Bengali, or Sindhi, are choices that have to confront a wider imagination than those allowed for by either nation state. As Jindal students Parvaz Lamba and Siddharth Pantula point out, the best thing about the course was about finding new friends – people who have had experiences and desires strikingly similar to their own, and being able to empathise with a group of people that had thus far been only distant, unknowable, and whose concerns therefore were to be met with indifference at best. During the last week of term, however, a delegation of students and faculty from LUMS visited the Jindal University campus at Sonipat. Their visit was eventful and included midnight stops at Dilli Haat, the consuming of remarkable quantities of food at Karim’s and a walk in Chandni Chowk. More than that, however, it also involved adhering to the requirements of a ‘reporting visa’ at the police thana in the district of Rai, Haryana. While friendships were formed, the necessity of adhering to rules of differentiation by the two states could not be wished away. Yet, the fact that the course did not evoke major disagreements shows that an academic approach to this shared past does have the possibility of arriving at an understanding of history that is complex and contested. 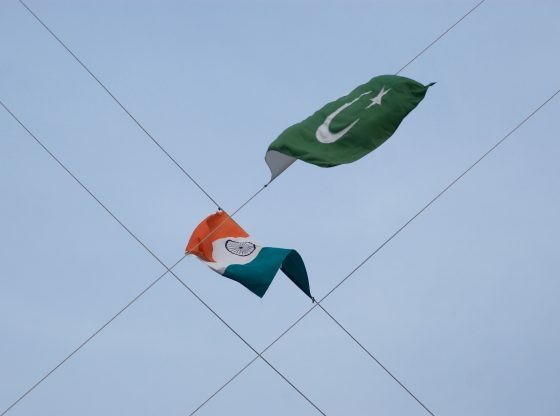 If India and Pakistan have, for statist purposes, invoked an idea of the past to constitute their respective national identities as mutually antagonistic, the success of this course, and the ability of young undergraduates from Lahore and Delhi to achieve an ‘overlapping consensus’, shows that an alternative imagining of the past conducive to achieving peace and harmony in the region is equally possible. Ali Usman Qasmi is an assistant professor of history at the Lahore University of Management Sciences and Pallavi Raghavan is assistant professor of history at OP Jindal Global University. This article was first published on The Wire and has been republished with the permission of the authors. Image credit: CC by Wikipedia Commons. In pre-poll Bangladesh, is the Drug War a guise for political murder? China-EU Relations: A Promising Prospect?